THE smell of freshly smoked meat hits your nostrils as soon as you walk in the door, making it very hard to leave Gladstone's newest butcher. Port City Meats on Ballantine St in Clinton opened its doors last Thursday at the shop previously occupied by Daly's Quality Meats and owners Peter and Michelle O'Connor. Experienced butcher Scott Avis has taken it over and is quickly putting his own stamp on things. 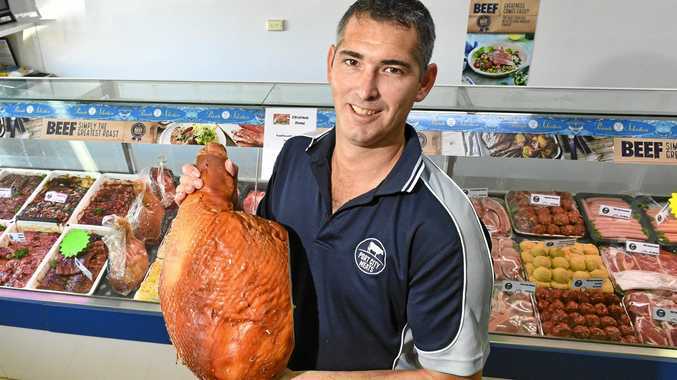 Scott has been in Gladstone for 15 years and did his apprenticeship at Auckland Street Butchery before working around town and then diving into the deep end of running his own business. "I'd spoke to the previous owners and he was ready to sell, so I grabbed it," Scott said. "I think it's a great little shop, it's got good potential and there's a lot more we can do, especially front of shop and with the smoking oven. "We want to keep our front cabinet fresh, exciting, like new products and a lot of value-added things. "People want something they can pick up, go home, throw it in the oven, chop a salad and it's done." Scott said people expected him to "keep the prices where they should be", adding his meats were "a lot cheaper than the supermarkets". However, one of the biggest drawcards is the smoking oven, which has been well used since opening day. "It's a Smo-King 2200 and we do our own beersticks, hams, bacon, salami, chorizo and bratwurst," he said. "The amount of bacon we sell per day is crazy because people want that traditional, old-school, butcher-shop bacon that they used to get 20years ago." Sourcing meat as locally as possible is another big factor. 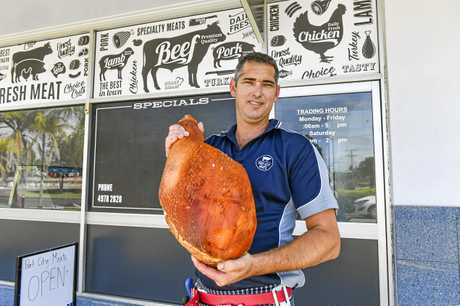 "Ninety per cent of my meat comes out of Biggenden Meatworks, all of my pork comes out of Betterfield at Biloela and it goes down to Biggenden to get slaughtered and comes back up here," Scott said. "All the beef, pork and lambs come out of Biggenden ... We try to keep it as local as we can."